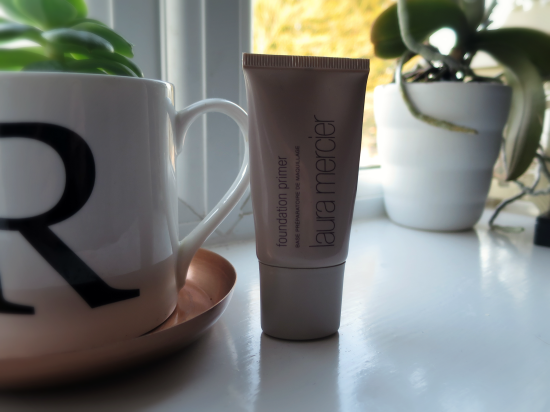 I own quite a few primers and some are better for different times of year (I love using the Smashbox primer in the summertime) but my favourite all rounder is the Laura Mercier Foundation Primer. I'm not a huge fan of the smell but it works wonders and you only need to use a pea sized amount for your whole face. It smooths on really easily and sinks in quickly. I'm so sad that I didn't discover this years ago! I had been looking for a full coverage foundation which didn't look cakey when applied and this was recommended to me many times over. 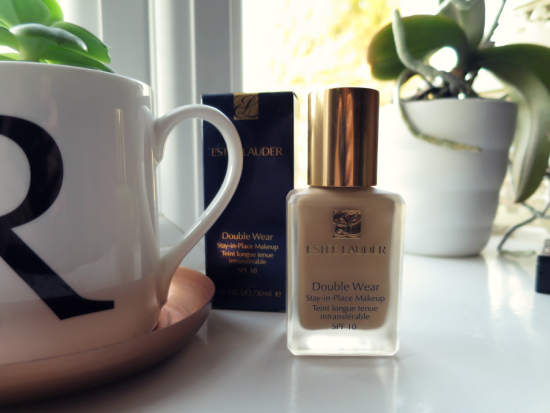 Because this foundation has so many shades, I went to the Estee Lauder counter and got colour matched. Also, this is the only foundation I've ever owned that I've never had to touch-up through the day, when it says Stay-In-Place makeup, it really means it! This is a fairly new discovery for me and I'm addicted! 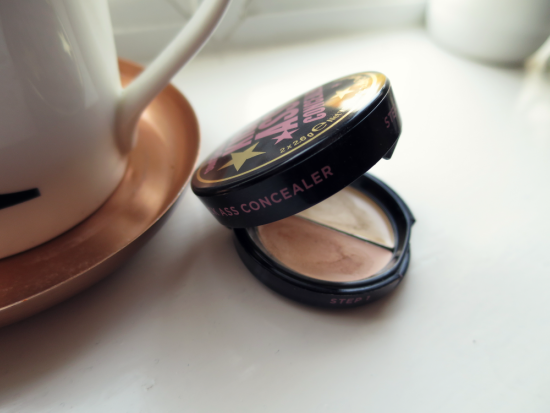 I love Soap & Glory makeup products and you definitely get your money's worth with this, two different shades of concealer, one for dark circles and one for spots and to top it off, a setting powder and sponge applicator. I also love that there is a mirror as it saves valuable handbag space, what's not to love? I don't like to use a lot of powder in the winter as it makes my skin feel dry but I still like to feel like my makeup is set in place! 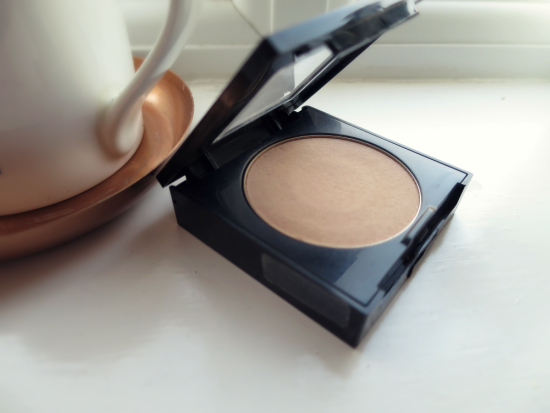 This Maybelline powder is great for that and it blends really well with my foundation colour too. I use this duo every single day and I absolutely love the subtlety of the shades, the bronzer isn't too dark and the highlighter isn't too shimmery. 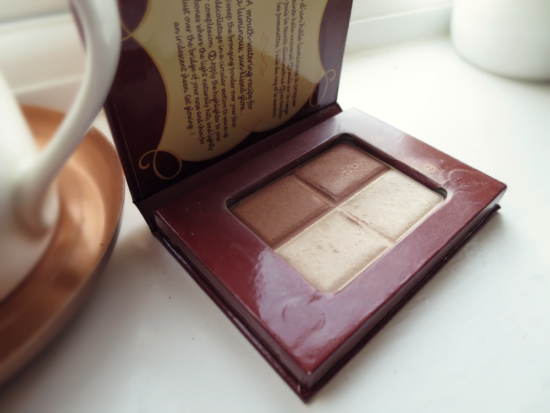 It has quite a heavy vanilla smell which I'm not very fond of but I love the packaging as it looks like chocolate! Which foundation products do you use? I use Clarins and their primer, BB cream. Sometimes their foundation too, depending on the coverage I want to achieve. Brilliant selection of products Rosanna! http://www.dressingmissjoe.com/happy-socks/ Hope you can check out mine :) Kiss! Great selection of products Risanna!!!! I need to give this Laura Mercier foundation primer a try. I love Laura Mercier primer, I use mine all the time creates such s good base for a flawless finish! I love the primer Laura Mercier, it's an efficient brand ! I need to check out the Mercier primer, yet. Thx for the info. All great products. Love your selection. Kisses! Check out my latest blogpost: "RODARTE and &OTHERSTORIES Collab Collection"
Thanks so much for sharing your everyday favorites with us! I, of course, always hear such wonderful things about Laura Mercier, but I've never read or heard anything about her primer specifically, so it was great to see you mention and share your thoughts on it! I hope you're having an amazing day so far, girlie, and thanks so much for sharing! I've never used foundation so I can't exactly speak on this subject. Still it's always cool to see different makeup routines. NEW WISH POST | Help me in this choice, pleeeease! I love that foundation too, good review! I use the Maybelline Fit Me powder too! I would love to try the Laura Mercier primer but I tend to find her products a bit pricy. These are some pretty nice products that I would like to try myself. I might try it the next time. I love that powder and bronzer pack. 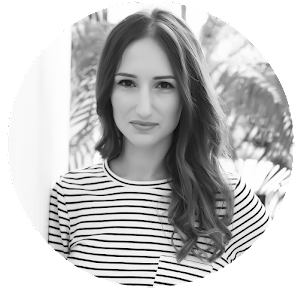 You have a really lovely blog, girls! Well written post, worth reading. All the pictures are fabulous! All these products sound wonderful! Thanks for sharing!